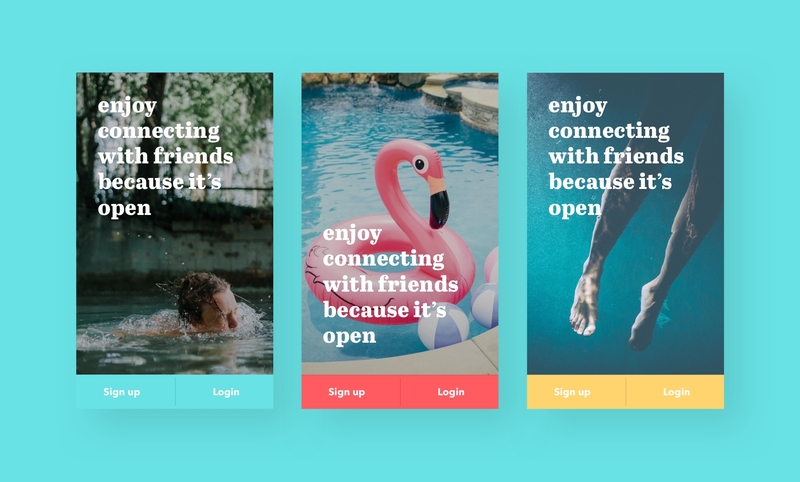 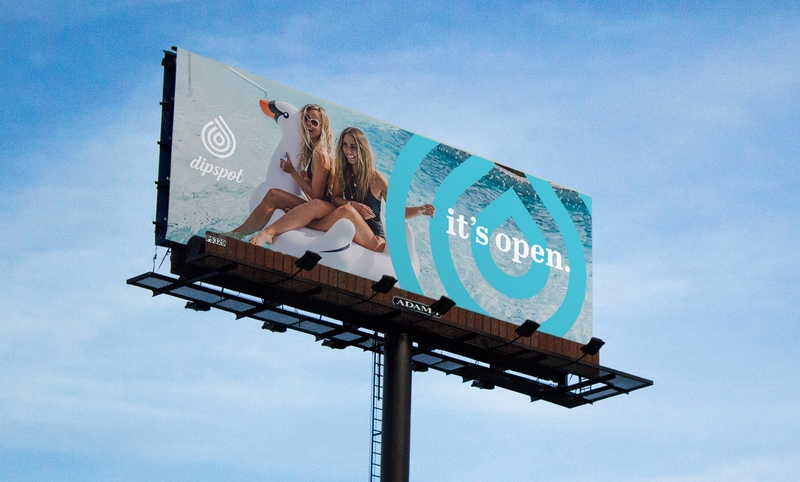 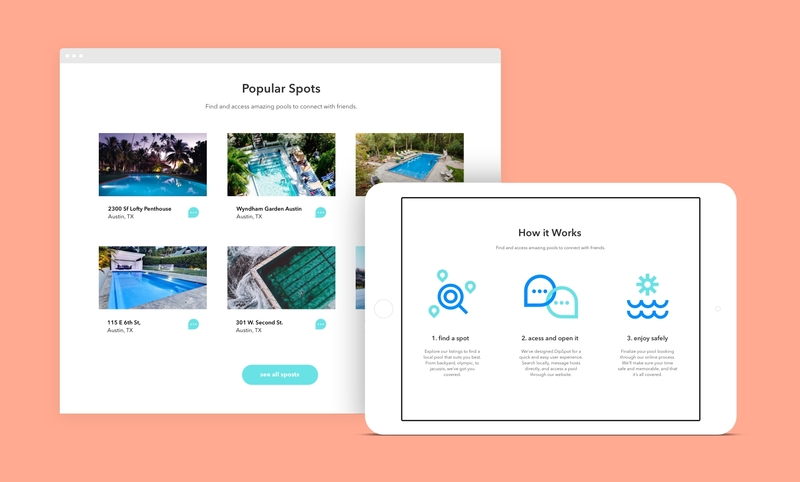 A concept for one of the first ever online platforms for sharing private swimming pools. 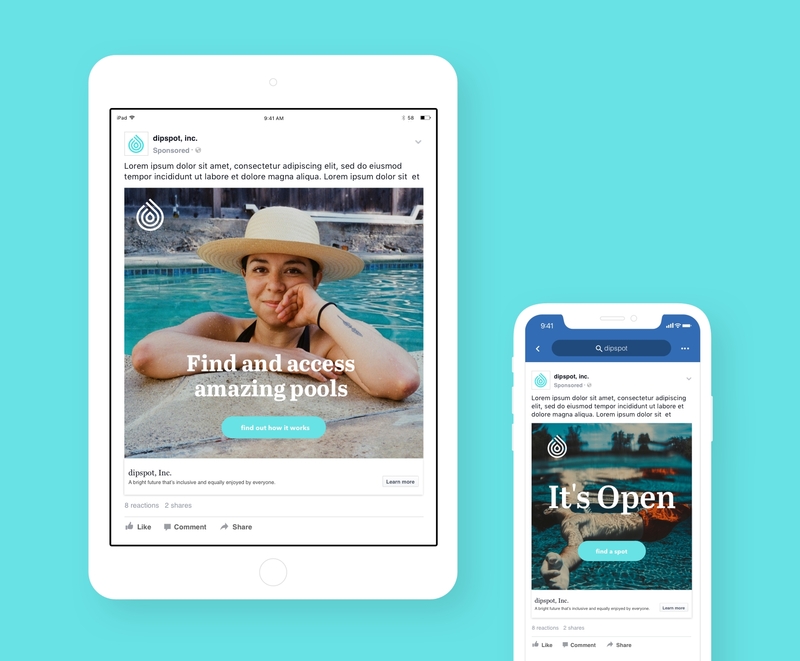 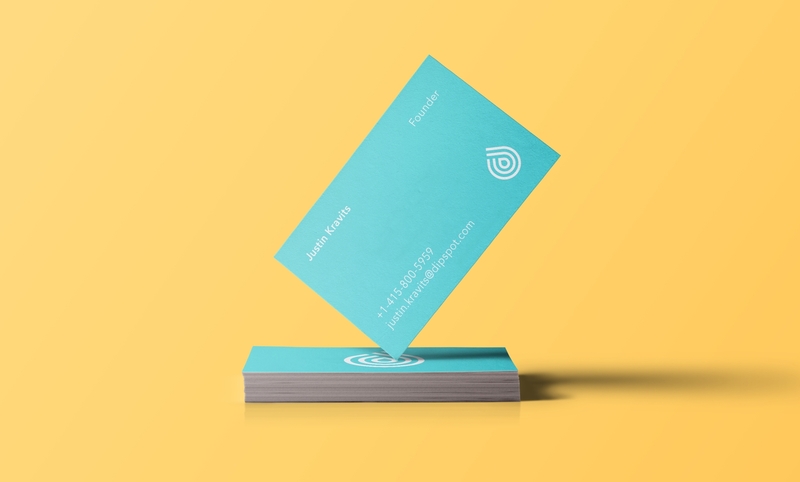 As a new company, it needed an overarching communication strategy which was simple yet scalable, all while maintaining a unique, Austin feel. 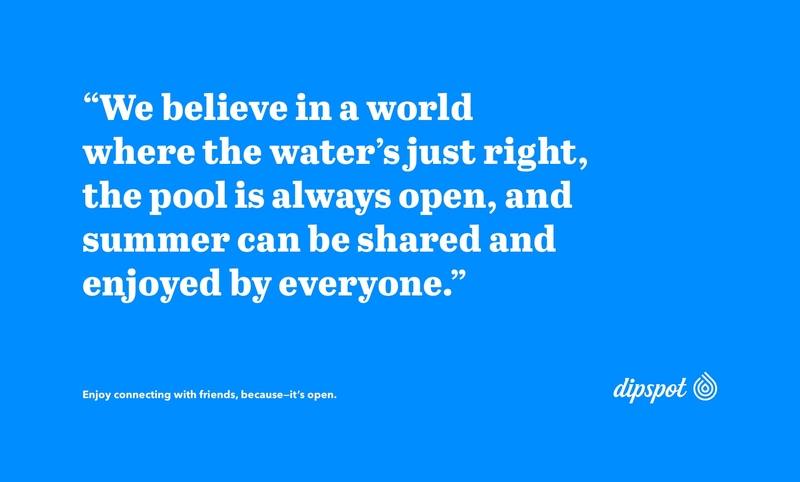 It also had to be authentic, human, and unearth the brand essence of the company. 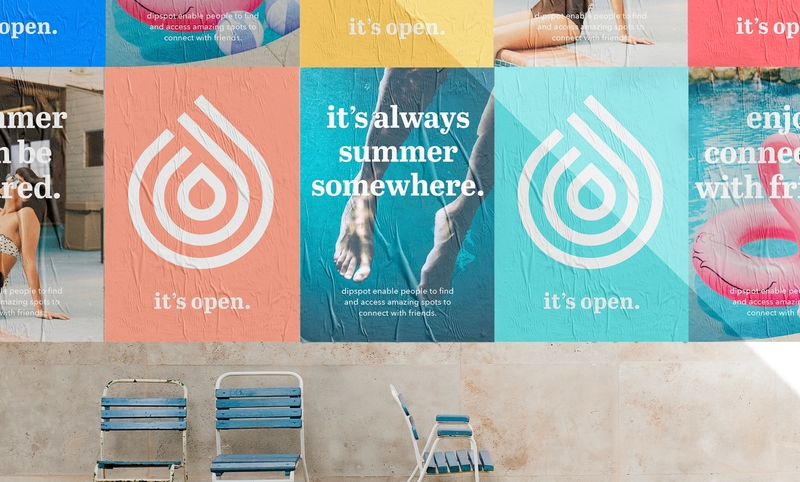 Visual Expression of Brand Essense. 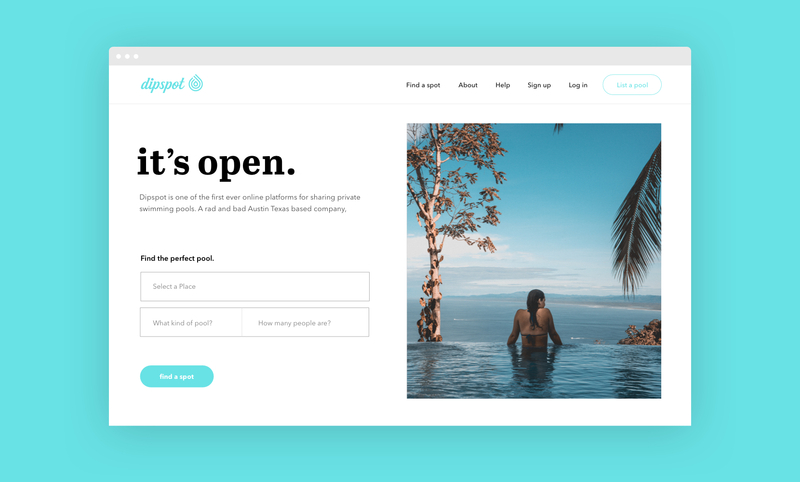 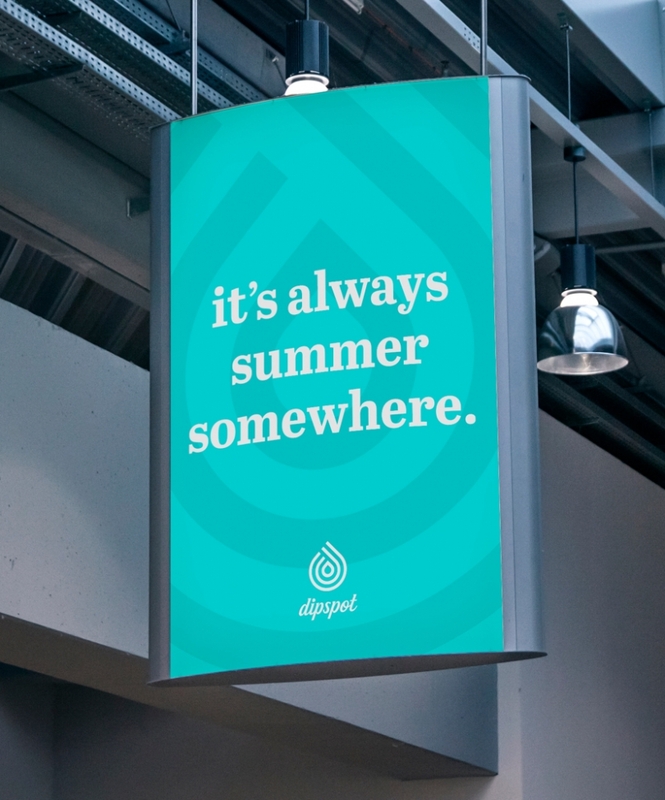 We took a more abstract approach to designing the “droplet,” to avoid industry cliches and blow our competition out of the water. 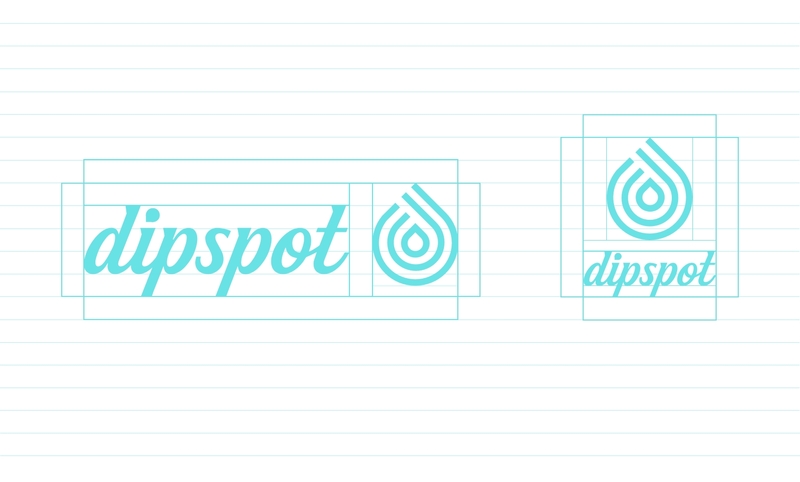 If you look closely, you can see how the concentric circles form a subtle “d,” making the brand symbol recognizable, even without its wordmark counterpart. 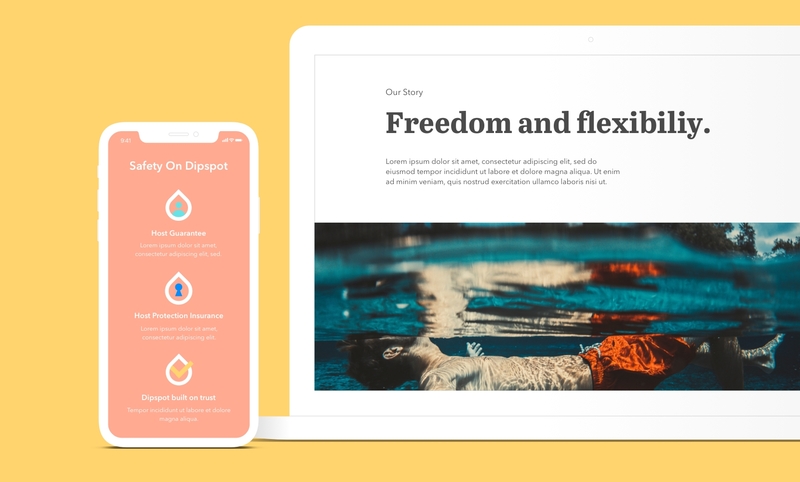 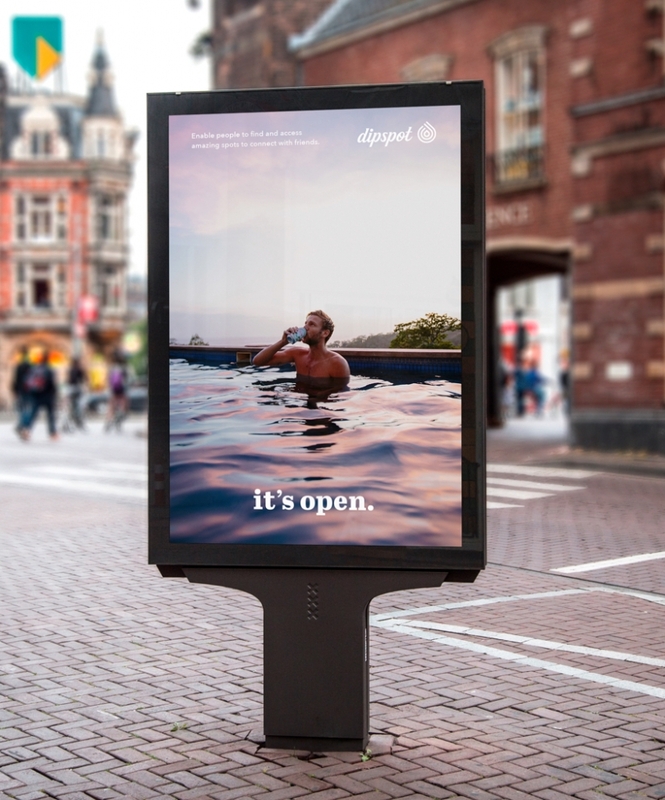 With an end-goal in mind, creative ideation, and continuous iteration, we built an engaging digital experience that tells the the brand story through the lens of its ideal customer. 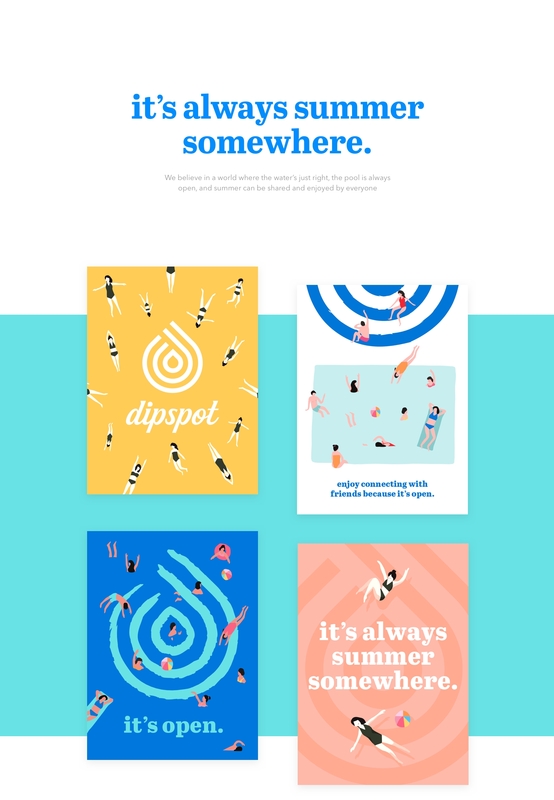 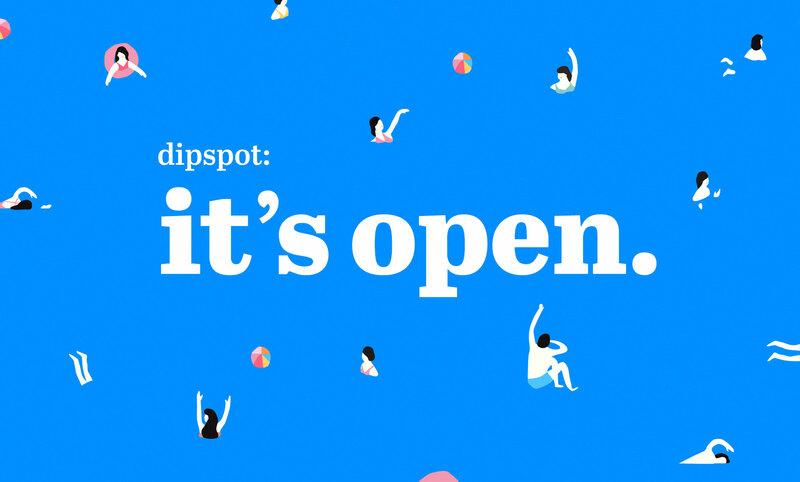 A vision for how the dipspot brand identity can live and scale in each of the major channels, including use cases photography and visual style options for Facebook and Instagram. 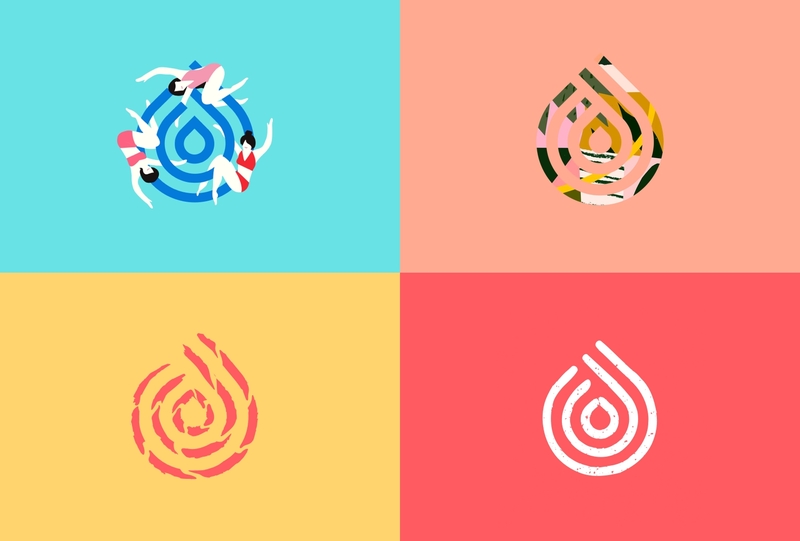 my journey as a designer.